When you decided to become a stay-at-home mom, you probably wondered if you had what it would “take”. Or maybe you are considering it right now, but are doing your research and want to know how to be a successful stay-at-home mom. Of course, getting your finances in order is usually at the top of the brainstorm list for becoming a stay-at-home mom, but figuring out what it takes to be a successful stay-at-home mom gets priority status also. It’s a whole different world when you stay at home. Being a successful stay-at-home mom looks different for every woman, but there are some common themes that will make your journey more enjoyable. 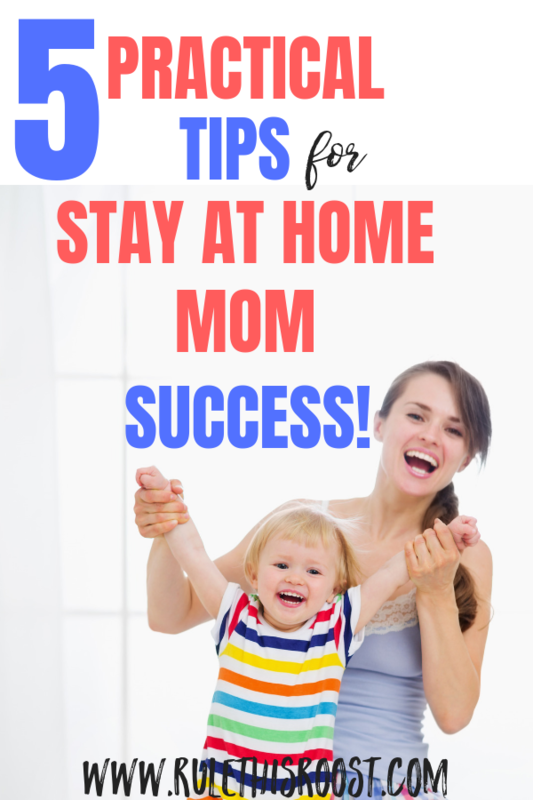 So, what is my advice on being a successful stay-at-home mom? I’m serious. I have worked with kids all of my adult life. I have taken child development courses and I still wish I had taken a parenting class before I ventured into the stay-at-home mom life. I wish I would have taken the classes when my kids were little, so I could have the time to learn the material and implement it as they grew. When I had one baby at home, I rocked the stay-at-home mom life. We had a really good rhythm going on, and my baby had predictable naps. I had plenty of time during nap time to do whatever I wanted. I cleaned the house, ran on the treadmill, planned out my side hustle, did meal prep and even got to watch a TV series on a regular basis! Then my baby grew into a toddler and dropped naps. And I had another child. And that child eventually dropped naps. Being a stay-at-home mom got a lot harder! Both of my kids grew older and started forming their own little personalities that were sometimes resistant to my requests, not to mention their complicated sea of emotions. YIKES! I totally wasn’t prepared. You are probably nodding your head and can relate to this. It’s just what happens as your kids grow older. You look back and realize that maybe that previous stage wasn’t as stressful as you thought. But, what if you could get a better understanding of all of the stages of childhood and how to address development BEFORE you reach that point? What if you could understand WHY your child is screaming about you giving her the wrong pair of pants? Once you understand WHY your kids behave a certain way, being a stay-at-home mom becomes easier and YOU become a more successful parent. Positive Parenting Solutions has a FREE webinar that you can watch online, AND you get the ebook “The Complete Guide to Eliminating Backtalk”. I liked the free webinar because it gave real-life and applicable parenting advice on yelling, nagging and getting your kids to listen. That’s something that I struggle with as my kids get older, so the tips were useful! Don’t have time to attend a parenting class? Grab this New York Times Best Seller! Spend quality time with your kids daily. To me, spending quality time with your kids is the number one factor in being a successful stay-at-home mom. When my kids are having melt-downs, I can pretty much guarantee they are either hungry, tired, or that I haven’t spent enough quality time with them. What does quality time even look like? It means putting down your phone and giving them your undivided attention. Play outside, build Lego creations, or maybe play video games, if that’s what your kids are into. A great way to spend time together is to go on a nature walk! 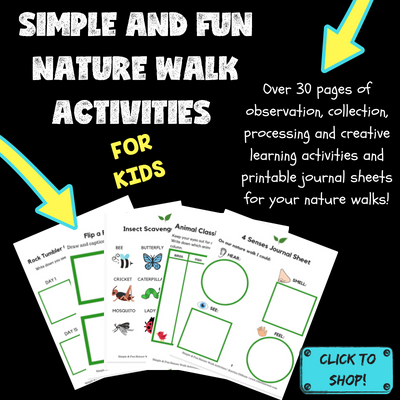 Check out my newly released ebook: Simple and Fun Nature Walk Activities for Kids! 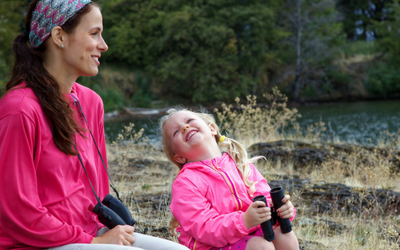 The time you spend with your kids is going to vary greatly depending on lifestyle factors, but every parent should be able to devote undivided, quality time to their kids. If not, you need to reevaluate your lifestyle and make some priority changes. For work-at-home moms, quality time is going to be in different intervals, compared to a mom who doesn’t work at home. What’s important, is that your kids get to spend time with you while you are completely devoted and not distracted. My daughter loves for me to play dolls with her. I play the “grandma” and I literally sit on the couch and “babysit” her dolls. She walks back and forth, pretending to be coming in and out of my “house”. That’s a REALLY easy thing for me to do, and we are still spending quality time together doing something she loves. I know that there are some moms who need a strict schedule, but I am just not one of those people. I believe that my kids will have PLENTY of time in their lives for strict schedules, and their childhood isn’t a place I am going to impose one. Instead of a schedule, we follow a rhythm. That means that we base our days on sleeping, eating, playing and necessities. I don’t “make” my kids wake up at a certain time. I believe that sleep is the cornerstone to healthy development, so they sleep as they need to. We also allow plenty of time for home-cooked meals. I’m not saying I’m a chef, but we try hard to eat a healthy diet. We make sure our daily rhythm allows for that. We don’t have a set time for outside time, or a set time for arts and crafts or screen time. That kind of time management doesn’t serve our family well. Having a rhythm makes days more enjoyable and lets kids be just kids. Just because we don’t follow a schedule, doesn’t mean that we don’t make time for regular outings. This is an integral part of raising kids, I believe. Most kids love outings. 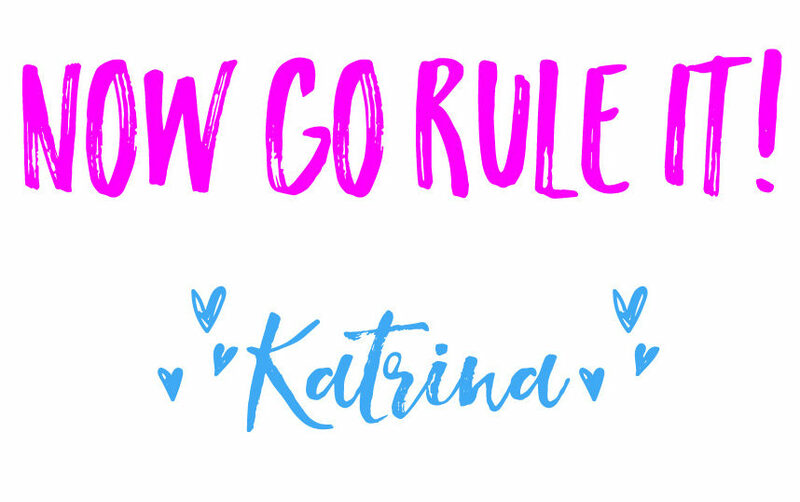 They can learn so much from going places, and it’s a great way to get out of the house! Your outings don’t always have to be expensive. You can go to your local park and have a picnic lunch, or attend your local library to check out new books to read. Get your kids in on making a plan for your outings. What are they interested in? You can make a bucket list of places to go and start checking them off your list! Oh, moms. This, this, this. I can commiserate and tell you that I don’t do a very good job at self-care. Heck, I barely feed myself on a regular basis. Between taking care of kids and a house, I barely have time for myself. But, I’ve learned that this step is too important to skip. While you are in the trenches of motherhood, you have to pause and remember to take care of YOU. Not only does this keep you healthy, but it makes you a better mom for your kids. If you feel sluggish and tired because you aren’t eating a healthy diet, then that isn’t fair to you OR your kids. If you are irritable and burned out, then you need to figure out how you can get a break. Maybe your spouse or a family member can watch your kids while you have a quick escape. Whatever the case may be, make time for self-care. It’s the only way you will make it through stay-at-home momhood as a semi-sane person! Being a successful stay-at-home mom doesn’t mean you are a perfect mom. It means you are a mom who cares for your kids and wants to raise them to the very best of your ability. But, don’t forget about yourself! You are the hub of your home and YOU have to make sure that you take care of your needs also. Finding the balance is the key to being a stay-at-home mom. It isn’t always easy, but it is ALWAYS worth it! What other tips do you have? Comment below!